Musical Director Chris Wormald has conducted, adjudicated and arranged for brass bands professionally since 1983 and has been a member of both the National Association of Brass Band Conductors and National Association of Brass Band Adjudicators since that time. 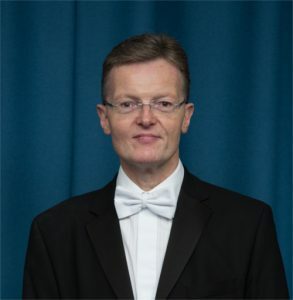 He was horn soloist with James Shepherd Versatile Brass (1990-1995), awarded the Mortimer Medal in 1998, became Classic FM Music Teacher of The Year in 2001, adjudicates at numerous major contests such as the Swiss, French and English National Championships and many more besides, guest conducts bands including Grimethorpe and Brighouse & Rastrick and has ninety published brass band arrangements to date for Obrasso, Wright & Round, Kirklees and Studio Music. He has played the French Horn professionally in many major orchestras such as the Philharmonia in London and many of his former pupils play and conduct professionally all over the world. Conducted by Harry Mortimer at Belle Vue in 1978 whilst a member of the National Youth Brass Band of Great Britain alongside Nicholas Childs, Steven Mead and many leading brass band names of today, Chris was appointed Head of Brass for Bolton LA (1983-1990) and during that time also taught at the RNCM in Manchester. 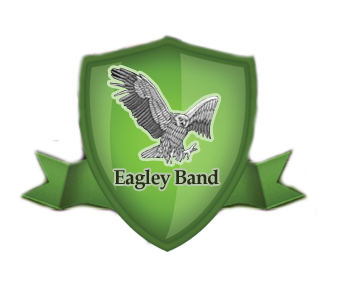 Chris was MD of Eagley Band for nine happy and successful years (1989-1997), Wingates (1998-2000) and Hoover (2002-2005), with whom they became National Champions in 2004. Chris has amassed numerous contest victories, concert highlights, BBC television and radio broadcasts and CD recordings and formed his multiple world and national champion Smithills School Senior Brass Band in 1991. Together, Chris and his Smithills flagship band won over fifty major national and international competitions in twenty years and performed in Japan, Norway, New Zealand, America (five tours), at the Royal Albert Hall in London eight times and on dozens of occasions in London’s Royal Festival Hall, Birmingham’s Symphony Hall and Manchester’s Bridgewater Hall. Chris is delighted to return to Eagley as MD and hopes to achieve great success once again in contests, concerts and CD recordings.